Never heard of mica? Girl, where have you been? They’re the next best thing to a great-looking guy, only this mineral won’t desert you for football games and guy time. If the word mica sounds familiar because you associate it with the Formica product that won out when you picked a kitchen counter material, you’re in for a surprise. Mica, a silicate mineral, can also make you look gorgeous—in and out of the kitchen! 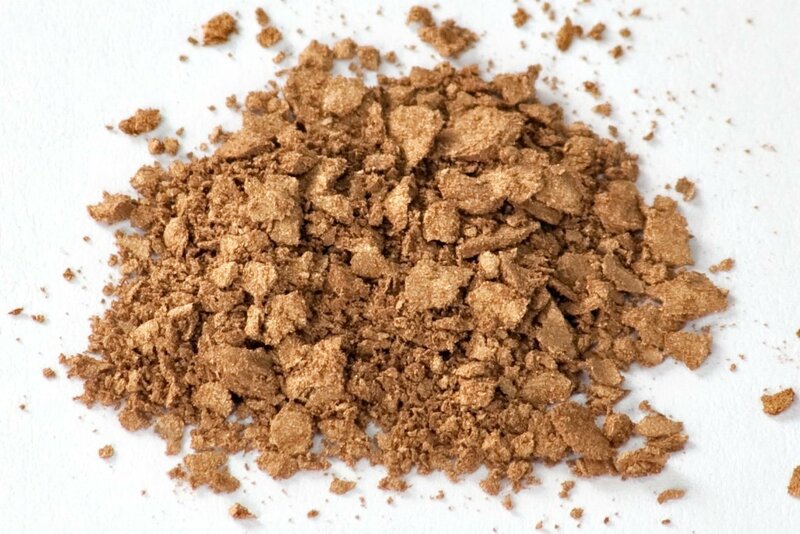 Some call mica an alchemist’s dream because it can be used to formulate everything from blushes and foundations to beauty creams and sunscreens. Wearers develop an immediate radiance described as shimmering and sparkling. In fact, you will glow because it illuminates everything it touches. This finely-milled powder is beloved by women who pride themselves on keeping things natural, too. Products containing mica are well tolerated by most skin types, so side effects are rare. Mined in India, where the world’s largest deposits of mica are buried, this mineral check most organic boxes and even winds up in toothpaste! -Availability of beauty and grooming products that include mica is booming, so you can glow without having to buy cheaper cat food to keep your budget intact! -Despite mining concerns, responsible companies like L’Oréal are working with NGOs to make sure only mica that’s legally mined is used in their products. -The absence of chemical ingredients is a huge perk. Yes, some mineral-based products include chemicals in their formulations, but they’re not needed due to this powder’s molecular structure. -Pore clogs? Forget about it. Since no chemical ingredients are needed to produce mica-rich products, your daily cleaning ritual is all you need to keep your skin pristine. -A single pop of translucent mica can solve myriad problems for women with extremely oily skin because it acts as a blotter while it improves appearance! -Mica-infused sunscreens double down on your skin’s health by protecting it from damaging sun rays. -Give your existing beauty products a mica boost. Revive matte shadows and blushes with your own glittery infusion of powder to show that you’re a trendsetter. -You don’t have to limit your use of mica to makeup. Why not replace the lavender you sprinkle on your linens with this seductive substitute? Sprinkle it on your sheets or mix it with a regular body powder for a post-shower glow. -Channel your creative soul by using mica minerals to dust the pages of your diary. Simply mix some with water and spray it onto the pages! -Add powder to your fav craft projects, too. Mix it with paint or clay; sprinkle it over freshly-painted bedroom furniture. Why not make your girl space as magical as you are once you get your glow on?